Jubal Flagg is a standup comedian, a Marconi Award winning radio host, television personality, and comedy writer. Entertaining audiences on-stage and on radio for over 15 years, Jubal is known for his quick wit and often strange observations. Currently hosting the nationally syndicated radio show “Brooke & Jubal in the Morning” he is also touring nationally as a stand-up comedian. The son of two ministers, Jubal attributes his quirky sense of humor to, well, growing up with the name Jubal. He points out, “my name is from the Bible and translates to the father of the harp and the flute, but growing up with the name Jubal I found out it actually translates to beat me up and take my lunch money.” Jubal started his radio career with a brief stint in Stockton, California before moving back to his hometown of Los Angeles to take a job as the producer of Fox Sports Radio’s “Tony Bruno Morning Extravaganza.” From there he moved to Seattle and eventually took over mornings on MOViN 92.5 before the show launched in to syndication in 2015. Making national news for his on-radio prank calls & a few viral videos, Jubal was also awarded as the "Best Radio Personality" in the 2016 Best of Western Washington Contest. 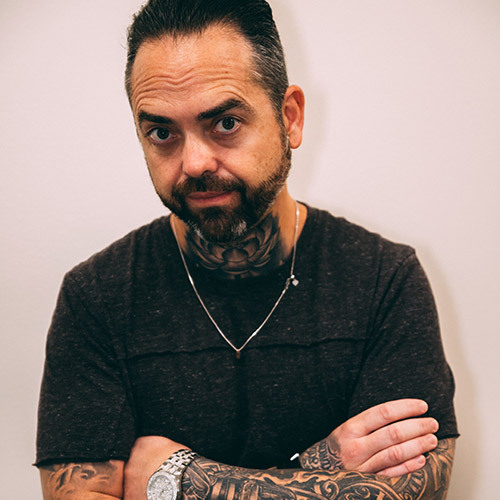 In addition to radio host, Jubal writes and produces comedy bits and daily topical jokes that are used by his "competition" at radio stations nationwide. He also spent 3 seasons as one of the hosts of Fox TV's "Dish Nation".Jubal is currently expanding his comedy career while continuing to host "Brooke & Jubal in the Morning." The 2016 release of his stand-up album “Feral” has received much acclaim and is available on his website teamjubal.com. Continually honing his craft as a comedian, fans can catch Jubal selling out comedy clubs and theaters nationwide.